My fees are usually £40 per hour for individuals and £60 per hour/£70 per 1 hour 15 mins for couples. However, I can sometimes offer a reduced rate on the basis of need so if the usual fee is not affordable for you, please don't be put off - this is something we can discuss in our initial (free) consultation. Reduced fees (£35) are available to individual students on counselling, psychotherapy or psychology training. Payment is by cash or cheque at the end of each session, or by bank transfer where sessions are via Skype. Our initial 30 minute session, for which there is no charge, is an opportunity for us to meet one another, for you to see if you might feel comfortable working with me, and for us both to briefly explore the reasons you are seeking help. At the end of this consultation, you are entirely free to go away and think about it, to book another appointment there and then, or to ask me to recommend other therapists you might try out. If you decide to continue with me, we can discuss in our second meeting the number of sessions you may want to have (although that does not always have to be decided at the outset) and how often you want to meet. I usually recommend weekly sessions for a minimum of 6 weeks, and that we review the frequency of sessions at that point. For individuals, sessions are 1 hour, and for couples either 1 hour or 1 hour 15 minutes (I recommend longer sessions for our first two or three meetings). Ideally sessions take place at the same time each week, however I recognise that life does not always permit this and can be flexible from week to week if your circumstances require. Daytime and evening sessions are available. I do not work at weekends. I adhere to the BACP code of ethics and I treat all information you give me as confidential, but I do share this information in an anonymised form with my supervisor (who is also bound by obligations of confidentiality). If I believe that you are in danger of harming yourself or others, or that a child is at risk, I have a duty to inform outside agencies but, wherever possible, I would discuss this with you first and agree a course of action with you. The full fee is payable for sessions cancelled on the day of the booked appointment. For sessions cancelled before the day of the appointment, I would always prefer to reschedule for another time during the same week if that's possible for both of us. 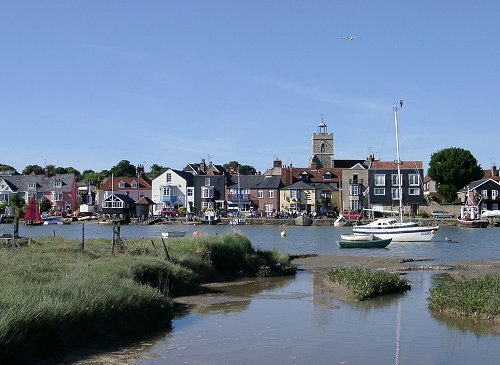 I work from a quiet, private room in my home in the village of Wivenhoe. Full location and directions will be given on arrangement of our initial consultation. It is easy to reach me by train and bus, and there is ample street parking very near my house. Unfortunately, my home does not have disabled access - if this is prohibitive for you, please contact me to discuss the possibility of Skype sessions.